Given the cosmetic and functional effects of missing teeth, you may not need any additional reasons to want to replace them. Your smile is more attractive and functions much better when you have a full set of teeth. However, there are even more complex reasons to consider replacing them with a dental implant-supported bridge or denture. Supported by an appropriate number of biocompatible implant posts, your new teeth won’t just fill out your smile – they’ll also restore the vital functions that your jawbone and surrounding facial structures rely on. Modern dental bridges, partials, and full dentures are designed so precisely that they’re visually indistinguishable from healthy, natural teeth. Yet, their one drawback is that they rely on additional supportive measures, like adhesives and clasps, which can take away slightly from their realism. 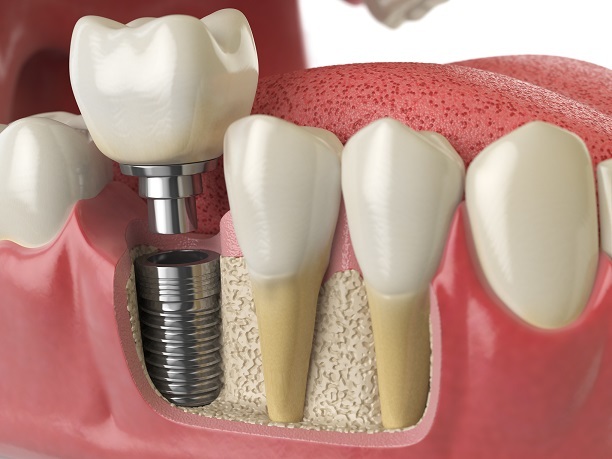 With implant posts, your replacement teeth include anchors that mimic natural teeth roots, making them the closest replicas available for your lost teeth. Your teeth roots do a lot more than just support your teeth. For instance, when you bite and chew, the roots are stimulated, which tells your body to send your jawbone enough nutrients to support them all. Consequently, your body responds to reduced stimulation by sending fewer nutrients, which can lead to jawbone degradation, facial collapse, and a higher risk of future tooth loss. As the only options for replacing your teeth roots, implants are also the only way to reestablish their stimulation and prevent such future problems. The best way to replace lost teeth is to ensure that your prosthesis can do everything they did. The only way to do that is to replace the roots of your lost teeth with an appropriate number of dental implants. To learn more, schedule a consultation by calling Modern Smile in North Hollywood, CA, today at 818-763-9353.